Gardens are a little paradise of your home where you can relax and retreat yourself with nature’s beauty. Vintage plants, colorful flowers, and exquisite landscaping will add elegance to your garden. It is the most pleasant and stimulating place of your home, which brings tranquility and comfort. To make this serene place of your house more alluring and rejuvenating, decorate it to enhance its beauty and express your creativity. It is time to get centered and looks into the garden decorations to have a joyful garden decoration experience. You don’t need to spend extra dollars on decorating this little heaven of your home; you can have a stunning looking garden by using simple rocks and stones. Best of all, you don’t need to cover extra miles to search for them; you can find them everywhere and add beautiful elements to your garden with little effort. Just collect them and use them to embellish your garden and make it more eco-friendly. You can achieve excellent results without breaking the bank if you use discount coupons for garden accessories available at PennySaviour. Let’s dive deep into the ideas to decorate your garden with stones, pebbles, and rocks. It’s time to take action now! It is the most excellent way to boost the curb appeal of your garden by making these incredible stepping stones. You can paint the rocks in different flowers and colorful butterflies. 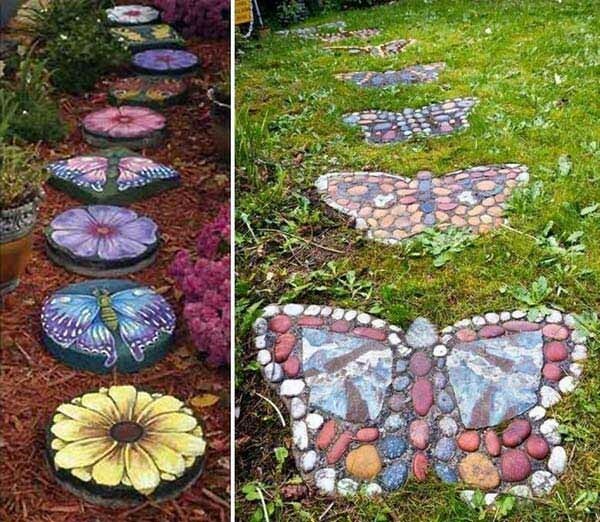 Moreover, you can also arrange stones in a way to design an adorable butterfly pathway. This fantastic idea will add a decorative feature to your landscape and makes it more engaging. Ladybugs can harm your lush green plants and colorful flowers. Let’s stone those bug bites. 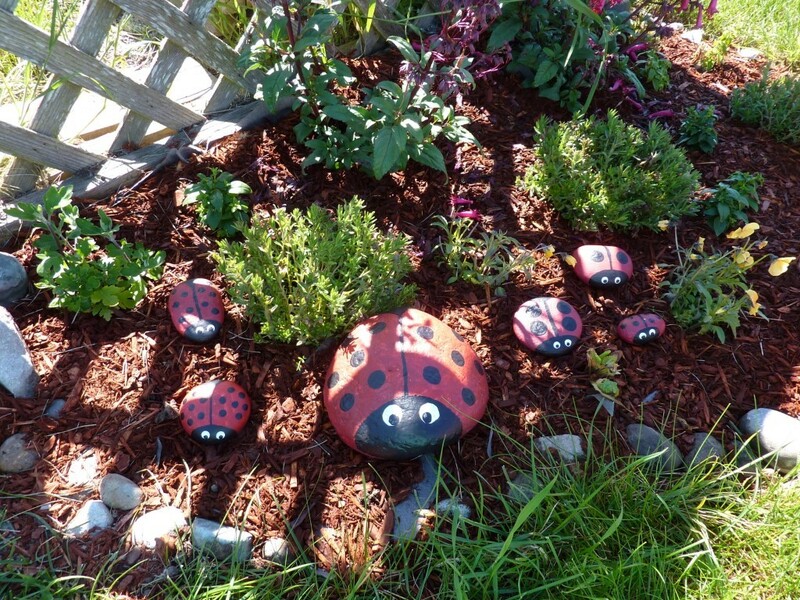 Decorate your garden with these colorful ladybugs and spread colors of fall everywhere in your garden. Your kids will also adorn these cute ladybugs. Collect some different sized stones and then paint them into different colors, or you can paint them all red and black, it’s up to you. Now put these painted stones into the garden, or you can select a specific area and decorate it with some plants and these bugs. In this way, you will have a family of ladybugs in your garden. Collect some nice and smooth stones and assemble them with the smaller ones. You can make stone feet according to the number of your family members. Choose the color and size of your choice. Use construction adhesive to lock them into a specific place. 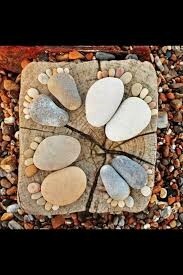 This rock feet artwork will make a unique addition to your garden. Add a contemporary element to your garden with this jazzy piece of stone art. It will be an eye-catching décor item to spruce up your yard. 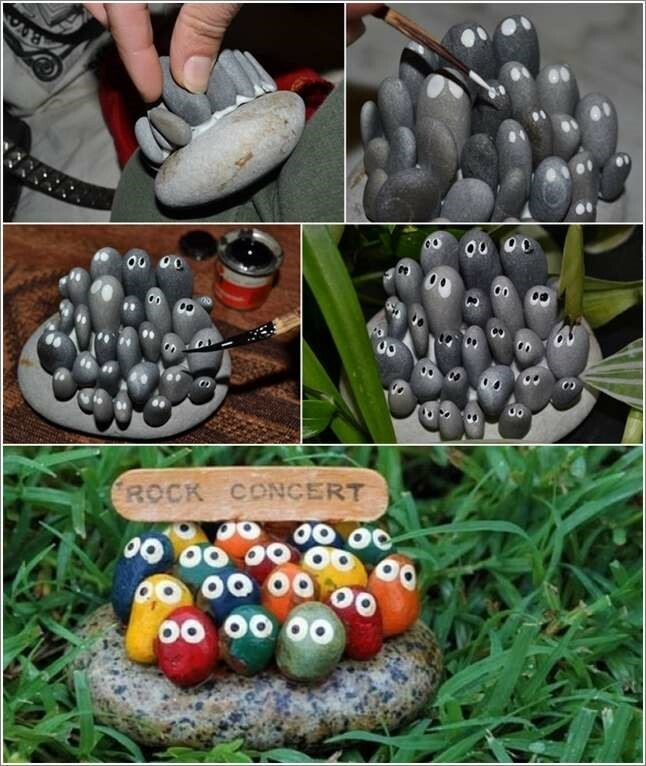 Just collect some stones long and thin and glue them perpendicular to the big one, just like as shown in the photo to give them a concert look. Now paint the stones in different colors with waterproof paint, the eyes with white color and make two little black dots on it to complete the eyes. Now the garden concert is ready to hit the grass. Sitting still in a garden is worth a thousand dimes. So it is essential to arrange a sitting area in your garden. What about making a rock bench? 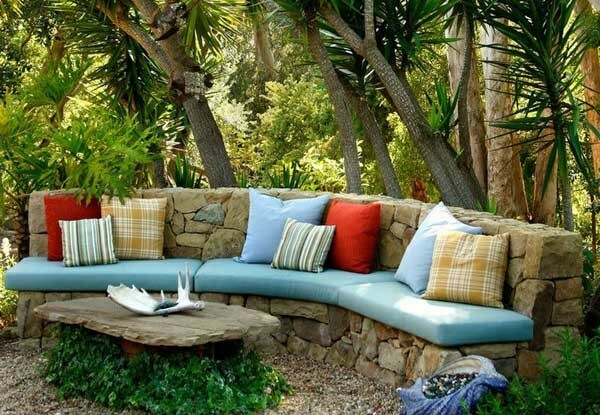 You can give a more natural look to your garden by making the bench with different stones. Find multiple-sized and shaped stones. Arrange the bigger stones in the form of seating and the smaller ones to make the back seat. After assembling the rocks into a perfect bench, you can put comfy cushions to enhance its appeal; and it is all ready for you to sit and relax in peace. Try these incredible garden décor ideas and awe everyone with your creative skills.